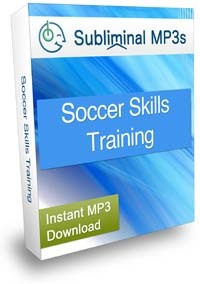 Dramatically improve your soccer skills and reach your soccer potential with our mind expanding subliminal mp3s. Do you keep looking for reasons to skip a training, or to give your best when you play? Do you beat yourself up when you lose the ball or miss goal, or with any other mistake you make? Do you dwell on them while the game is going on? Would you like to become the best player you can be, both physically and mentally strong to endure all the challenges? Soccer is just as much a mental game as it is a physical game. Even the players who have the best grasp of fundamentals and the best soccer training can crack under pressure and start making mistakes, unable to quickly return their focus to the game and the task at hand. Bouncing back from a poor performance or handling negative emotions is something that comes from having your head on right, not just practicing drills up and down the field. If you want to get ahead of the game, you should spend as much time training your mind as you do your body. This can help you to excel faster than your peers who just focus on the mechanics of soccer. 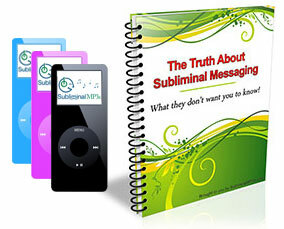 Your subconscious mind is a vast storage of beliefs and limitations that you impose to yourself. When you're not focused on the game, when you make too much mistakes or when you simply aren't trying hard enough - these are all the symptoms of your mind not having a 100% belief in your ability to be a great player! And you need to have that belief if you want to succeed. You have to be sure that you can do it, that you can improve your skills and develop to your fullest potential. That's exactly what this album does - using the carefully designed positive suggestions that enter your brain subconsciously, it gradually changes the way you thing about soccer and your own abilities, improving your physical skills and your motivation. This album is made to boost your drive, and your motivated to train harder than ever before. You will be more dedicated to your training and always practice with a serious focus. You will go the extra distance in your training, and push past your current limits. The messages also work to boost your specific soccer skills - your ball control, and your passing and shooting accuracy. Your senses will be sharper than ever and you will be in total control of your game at all times. Finally the album will make sure you always play at your best and play consistently at this level. You won't be "hot and cold" or have good days and bad days - you will give a consistent performance each and every time. Download the album today and develop to your fullest soccer potential!